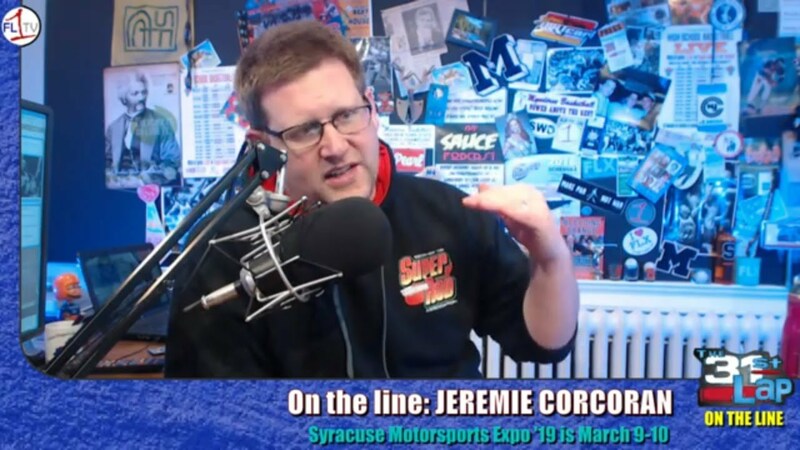 We welcome Jeremie Corcoran to the program with a look ahead to the upcoming Syracuse Motorsports Expo at the Center of Progress Building at the New York State Fairgrounds in Syracuse this weekend, running 10-8 on Saturday and 114 on Sunday. This pairs nicely with the Indoor Racing Series stop at the Exposition Center off Gate 2, racing full programs Friday and Saturday night. Action starts for the TQs, Slingshots and Champ Karts at 7:30 pm Friday and 7 pm Saturday. 31st Lap Alumn and owner of Dirt Track Digest Mike Mallett joins us for a look at the upcoming action at Volusia, and the Motorsports Expo in Syracuse, March 10-11. Mike Mallett checks in with only a matter of weeks left before racing picks up in the Northeast!